The global logistics is becoming more and more complicated. Its complexity is caused by strategic analysis of the supply chain, warehouse management systems, company collaboration, managed services, customer demand and other relevant fields. On the contrary, companies are continuously conducting research processes and critical analyses to keep up with the demands and other requisites for targets fulfillment. The results give companies the recognition of opportunities and potential drivers for growth. It is now common for organisations to work together with back office offshoring solutions for excellent performance and services. There are many sources of growth but here are the top 4 growth drivers in logistics industry. Whatever industry your company is in, the customer’s demand and expectations will always be the most important bases for improvements. In fact, the success of a business is primarily based on the level of satisfaction from the customers which are primarily leaning towards your quality product and service. Companies then turn to offshoring back office data entry solutions and other services for operational excellence, timely customer support and the effective adherence of the consumers’ expectations anywhere around the globe. E-commerce has been very successful in providing freight companies and customers new options that fuel the growth of its economy. It has influenced the success of every transportation business, and it still continues to lead as the driver of growth in the industry. According to the CEO of FedEx, Henry Maier, sales and shipments quickly went up by more than a hundred percent. The continuous growth through e-commerce will be significant for all freight and retail companies. As businesses grow bigger, the world is getting smaller. Globalisation is the result of the rapid expansion of companies worldwide, technological integration in the infrastructure of companies, proliferation of different products and cost pressures in logistics. 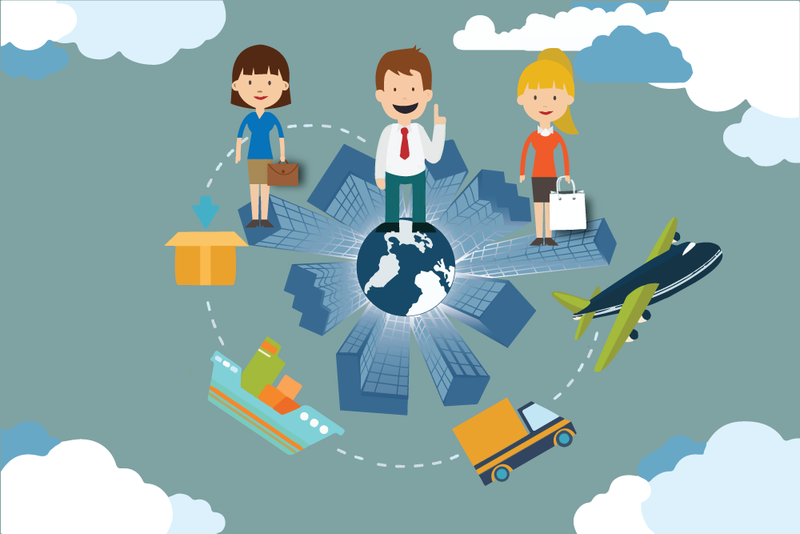 Different trends that are being harnessed by globalisation and the logistics industry will be much more complicated by its rapid growth. Cloud-based operations have simplified the supply chain management from small-scale to comprehensive businesses. It essentially refines the control and visibility in the supply chain. It is a powerful solution as supply chain involves big data to operate an efficient management and tracking. It has made small-to-medium sized companies compete in the logistics industry without any hassle of on premise servers and applications. In addition, companies are upgrading their services as Cloud-based solution enables customers to use various options and functionalities they need to order from multi-channel services. It does not take away the fact that the logistics industry is very complicated. Suppliers, retailers, professionals and companies alike focus their attention on improving their services to customers, making more options for customers and innovating both business processes and technological applications. It only takes an entrepreneurial spirit of a great mind to set an organisation on the right track. Recognising the potential of these growth drivers will open new opportunities and possibilities that can result to the success of a company.